This website does not garner any data whatsoever from your system or from your use of this website. This website does not attempt to store any cookies or any other data forms on your computer. As such, this section, not withstanding the foregoing, is only relevant to club members and/or their parents or guardians. 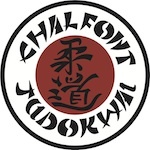 Chalfont & Evreham Judokwai keep a minimum amount of data both in paper and electronic form which are solely used for the proper and efficient running of the club and for complying with standard health and safety regulations and for child protection purposes. These are all in line with government guidelines and requirements. All data relates solely to the club members, their parents or guardians (where relevant) and apart from the purposes above are used to keeping records of subscriptions and performance. All data that is stored electronically is kept on servers that are wholly owned and maintained by Flamble Limited. Flamble are registered and fully comply with the Data Protection Act 1998. We take your privacy very seriously. All of your details are held on secure servers and are backed up regularly for security. Unrestricted access to the databases is available only to the director of Flamble Limited (David Sensei) and a very limited number of select colleagues. Your data is kept solely for the purpose of the proper administration of your club membership. With the exception of the need of the club to provide membership details to the British Judo Council and to the BJC Bucks Area committee, we do NOT share, sell or otherwise transmit your details to any third party under any circumstance with the only exception being (as required by statute) to any government agencies that may require it (eg. Police etc.). To date, this event has not happened. Under the terms of the Data Protection Act you are entitled to have access to any data that we hold that contains your name in return for a small fee (£20) and we have to supply this to you within 60 days. However, it is our policy to make any data that contains your name available to you free of charge should you request it. Any further information such as Emails or letters that we hold will be made available to you should you so wish upon receipt of a letter to the registered office (below) of the data controller and this will be actioned within 7 days. Please note that in order to protect the data of a third party that it may be necessary to reduct parts of any data supplied to you. Nothing above detracts from your Statutory Rights but merely adds to it. The content of this website is copyright and resides with the officers of Chalfont & Evreham Judokwai. No reproduction, extraction, copying or use of any part of this website in anyway is permitted without the specific written authorisation of the Chalfont & Evreham Judokwai. Some of the photographs are the specific copyright of David Finch of Judophotos.com and are credited as such. These photographs are reproduced here with the specific permission of David Finch. No other use is permitted and if you have any interest in these images you must make direct representation to him. The videos shown, where not the content of Chalfont & Evreham Judokwai have been embedded into the site from either YouTube.com or JudoVision.com or possibly other sites. They are reproduced here with their copyright retained by the owners. Any other images or videos used which are not the copyright of Chalfont & Evreham Judokwai are reproduced with the permission of their owners and further reproduction is not allowed without reference back to them. All text (except where specifically quoted and referenced) is the copyright of the Chalfont & Evreham Judokwai. Copyright 2009. All of the instructors at your Judo club are committed towards the highest standards of child protection. This means that we take care to ensure that your child is safe whilst in our care and that we take reasonable efforts to ensure that there are not any outside influences that could compromise this. Sometimes we wish to take photographs of the children performing Judo and related activities in order to publish on this website and possibly in printed material (for example pamphlets which are given out at local schools in order to encourage new members). We will not publish any pictures of your child without your consent. If you do give your consent, we may wish to use the child’s name in which case we would use the first name only. Under no circumstance will we identify the surname or address.